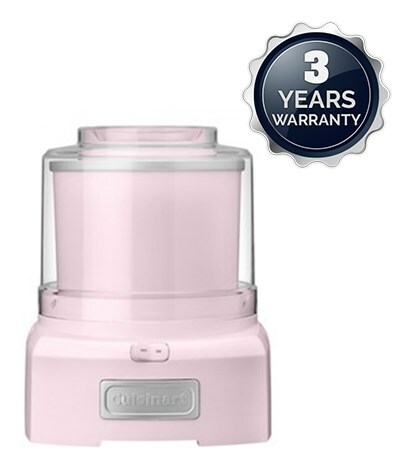 The Cuisinart ICE-21PK is ice cream and sorbet maker which features double insulated freezer bowl and patent pending mixing paddle that makes frozen treats in maximum 20 minutes. It has large capacity and easy lock lid with large spout that makes adding ingredients simple and mess free. The Cuisinart Yogurt-Ice Cream Maker has many exciting features for users of all types. You can extend the lifetime of your Cuisinart Yogurt-Ice Cream Maker with the purchase of a FactoryOutletStore Factory Protection Plan. 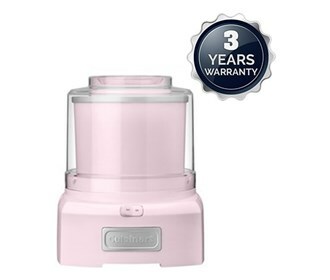 The Cuisinart Yogurt-Ice Cream Maker is sold as a Brand New Unopened Item.